The commemoration of Dr. Martin Luther King’s Birthday is a national day of service. It is intended to be a Day ON, not a day off. And so, last weekend, thousands of Americans went out into their communities to volunteer, including in North Carolina. As we looked for a project to serve, I found Jason DuVall, a Navy veteran and Methodist pastor in Lake Gaston, NC. A former corpsman who served with the Marine Corps (oorah! ), Jason is leading the hurricane rebuilding efforts for the NC Conference of the United Methodist Church in Princeville, a storied community in eastern part of the state. The oldest town incorporated by African-Americans in the United States, Princeville has faced many challenges in recent years. Like Hurricane Floyd in 1999, Hurricane Matthew left over 80 percent of the town’s homes underwater in October 2016. 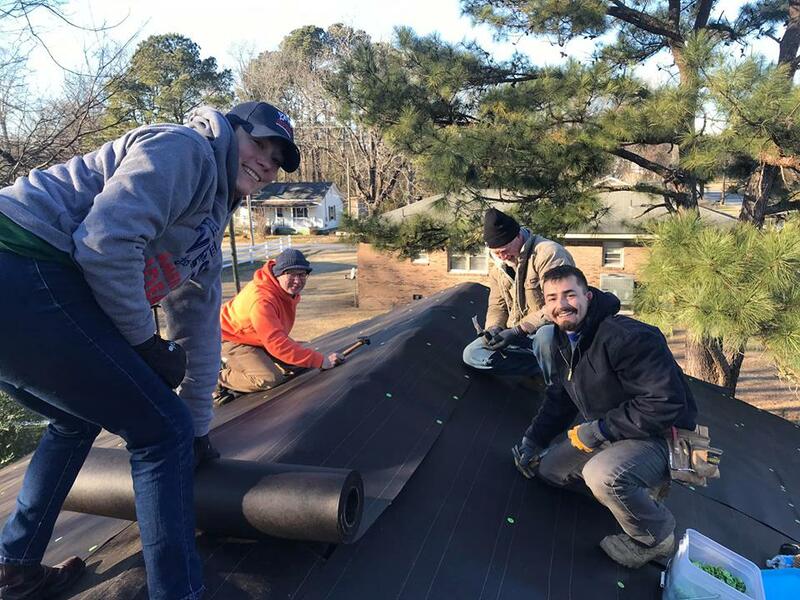 Soon after the skies cleared, the NC Conference of the United Methodist Church got to work. It made a long-term commitment to assist in the rebuilding process, serving as a coordinating agency for volunteer groups that have come from far and wide to help families find their ways back home. We laid flooring, we put on a new roof, we installed insulation, and we tore down one home in preparation for building a new one. We ate pizza, we made new friends, and we came to know the resilient people of Princeville, who continue to rebuild.